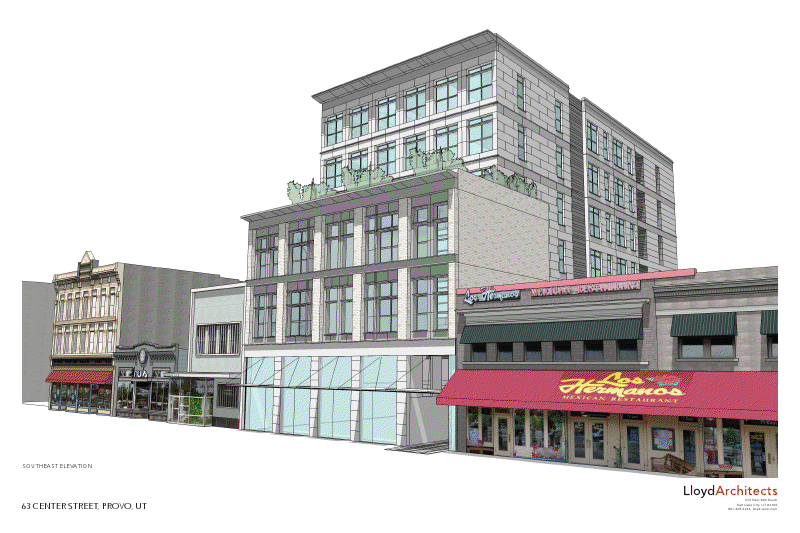 As of Wednesday, it’s likely that downtown is getting a large mixed-use development from Cowboy Partners. So what kind of work does the company do? Cowboy Partners’ website includes photos of more than two dozen apartment projects across five states, but perhaps the best place to start is in Ogden — a city with obvious similarities to Provo — with the Liberty Junction project. You can shop ‘til you drop, dine at world class eateries, and catch a movie at the thirteen-screen megaplex theater right at your doorstep. You can also take in some family fun at the City’s adventure center. Liberty Junction is a masterfully designed residential community that is also within walking distance of virtually all the excitement that downtown Ogden has to offer. 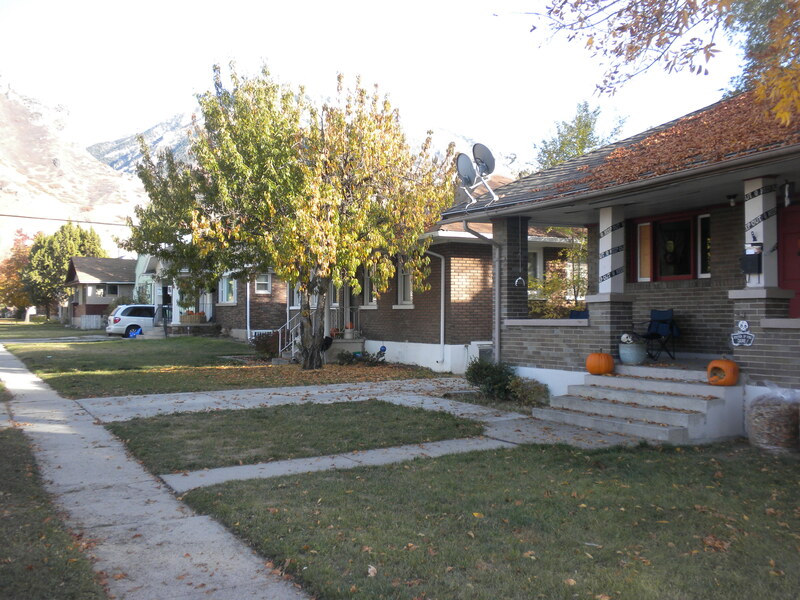 Cowboy Partners has also done several projects in Salt Lake City. Those projects include Liberty City Walk (“where cottage style architecture meets contemporary city living”), Liberty Metro (“come relax in your own space in a building that offers lodge-style living”), Liberty Midtown (“surrounded by shops, boutiques, galleries and world class restaurants”), and some condos at City Creek. Most of the pages for these projects lack extensive exterior photos (and WordPress would only let me include one gallery anyway), but they are nevertheless illuminative. The mission of Cowboy Partners is creating extraordinary places for people. Widely recognized as one of the premier multi-family and mixed-use developers in the West, Cowboy Partners represents the best in the creation of innovative, imaginative, and inviting residential communities and mixed-use neighborhoods. It’s obviously too early to formulate any opinion on the proposed development in downtown Provo — though I’ve heard a few people speak very highly of it — but hopefully this information at least provides some background on the company that will likely carry it out. Continuing the series on wealth and city success (see previous posts here and here), I decided to look at the number of people per square mile, or population density, in five cities. 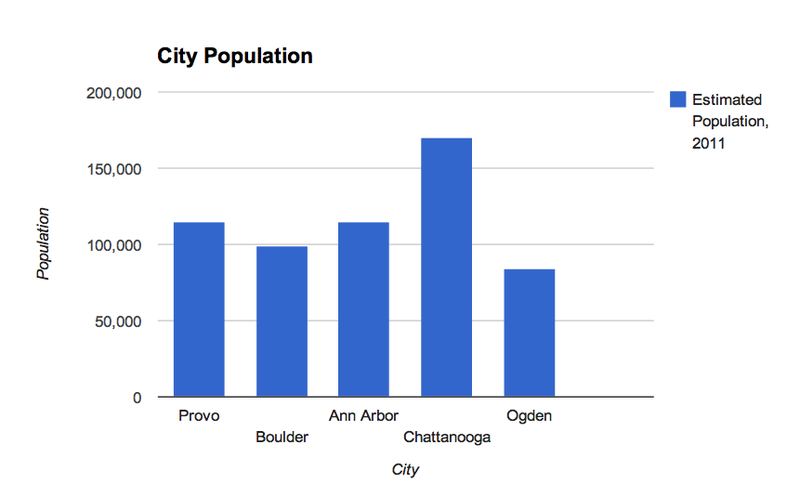 Specifically, I was curious if other cities in Provo’s class had higher or lower densities. This data — which isn’t surprising — offers clear procedural guidance: if Provo wants a thriving economy and downtown, it should increase density. The standard justification for that argument is that adding people means more customers for local businesses. That’s true, but as this data shows those people will also earn more as they cluster into tighter areas. In other words, higher density provides the duel benefits of more customers with more buying power. Of course, I’m not arguing that density by itself causes higher income. And there are plenty of high density-low wage places in the world. 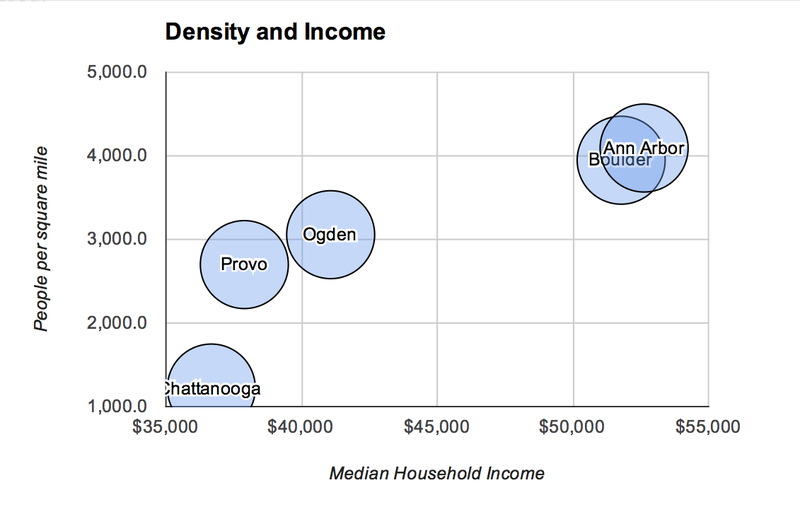 Instead, I’m saying that in a city like Provo there appears to be a correlation between density and wealth. Embracing density also clearly won’t turn medium-sized American cities into third-world slums. Census data shows a correlation between density and median income. 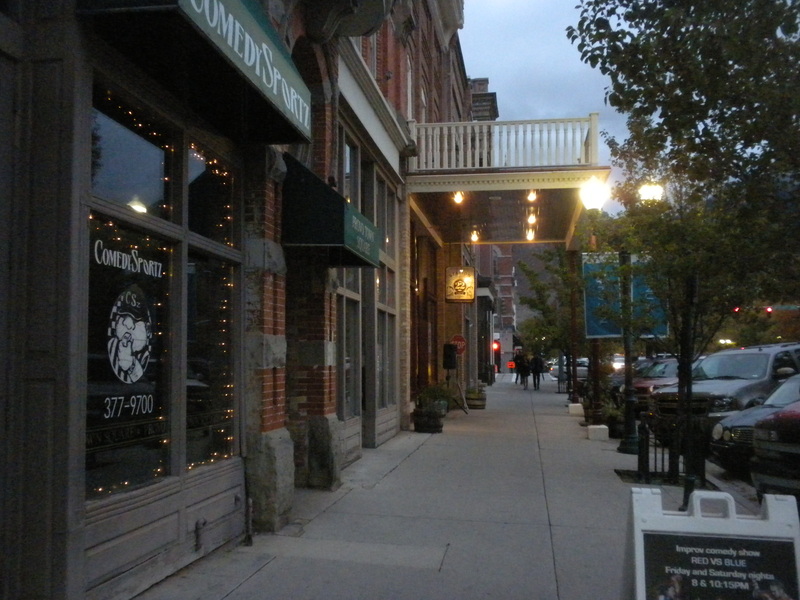 That means Provo needs to do more than add buildings like this downtown, as wonderful as they are. Perhaps an analogy — which I adapt liberally from Jon Huntsman’s view on climate change — might be helpful: Imagine having cancer and hearing a doctor say “everyone who tried this one treatment survived and everyone who didn’t died.” Would you try that treatment? 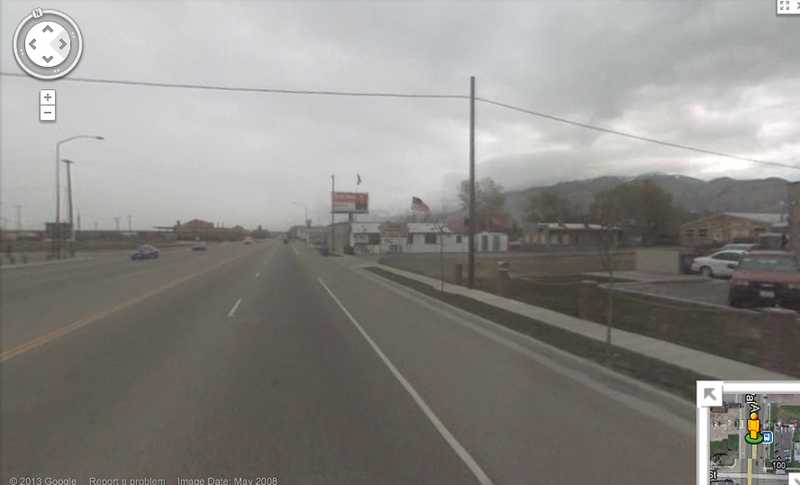 That’s sort of what is going on here; cities resembling Provo that try more density are generally prospering. At a fundamental level it’s very simple. Thankfully, Provo is adding density in downtown. The neighborhood planning efforts are also helping residents understand the problems with sprawl-inducing policies like parking minimums. All said, Provo is doing well. Still though, we could be doing even more. Sure, there are residential projects going into downtown, but where is the infill in historic neighborhoods? Where are the pocket developments in the more suburban areas? Where are the sweeping code changes that allow for actively encourage denser development? In the end, my friends, baby steps aren’t going to cut it in the neighborhoods. 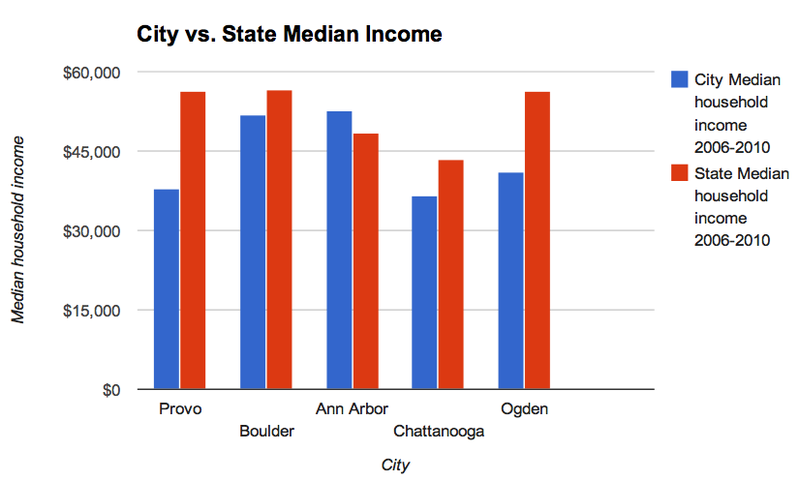 Earlier this week I reported that Provo’s median income is lower than the cities to which it is most often compared. And though the situation may be improving, that still means residents have less money to spend in the local economy, among other things, which naturally translates into a comparatively depressed commercial sector. But the bad news doesn’t stop there. As is apparent, poverty levels in every other city hover near 20 percent, or roughly 10 points lower than Provo’s level. 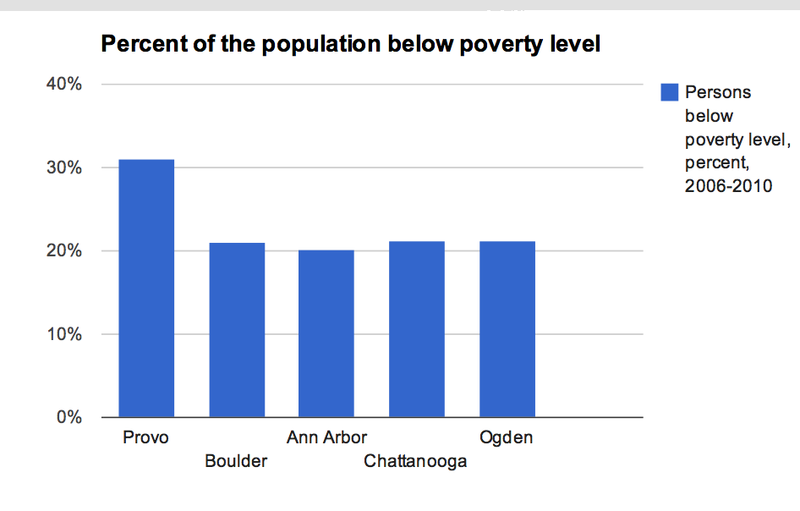 By way of comparison, Provo has a higher percentage of people living below poverty level than old, eastern industrial cities like Buffalo (29.6), Cincinnati (27.2), and Pittsburgh (21.9). Next door in Orem — where there is another large university whose students are no wealthier than Provo’s — just 13.5 percent of the population is living in poverty. In fact, Provo’s poverty levels aren’t much lower than those in Detroit (34.5), and Detroit is notorious for its decimated manufacturing sector and for its struggles with poverty. Some people will look at these figures and immediately want to explain them. Provo, for example, has a lot of students. Many of those students support themselves, marry earlier than other young people, and have kids quickly. Provo also has a history as a blue collar town meaning many of the city’s older residents never became very high wage earners. There is a lot of truth to these explanations. But it’s important to remember that all of the cities included on the graph have students as well. Chattanooga and Ogden also both have state schools without huge research agendas and in the latter case many students are even members of the LDS Church (the same is true in Orem). 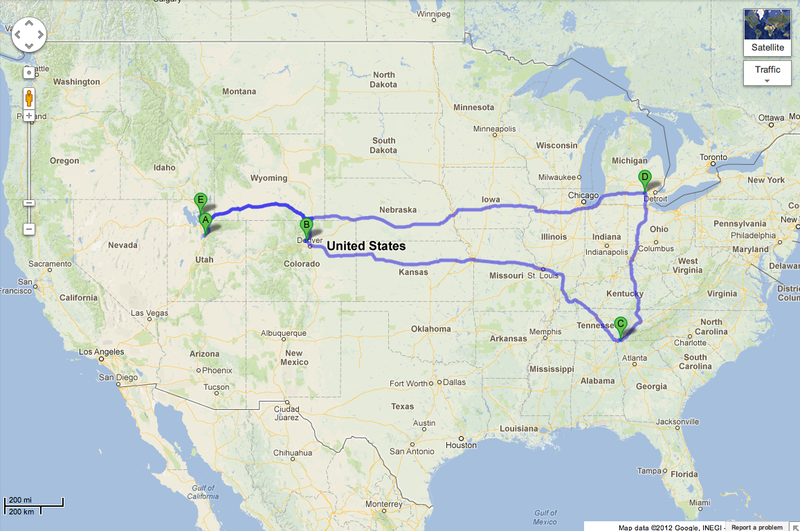 In other words, I chose these cities because they each represent a different kind of college town. But most importantly, these explanations are beside the point. 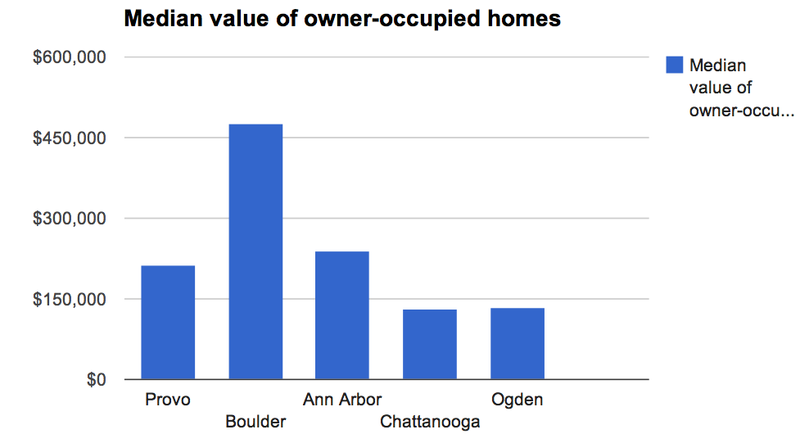 Whatever the causes, if Provo’s residents are poorer than those in other cities Provo will have less economic vibrancy. In other words, explanations themselves won’t change the problem, which is that lower incomes and more poverty are one big reason Provo feels less successful than other cities. With higher poverty rates than other cities, it makes sense that Provo would have similarly higher vacancy rates in downtown buildings. It’s also worth mentioning that people in Provo should be embarrassed by these figures. For strategic reasons, I’ve typically chosen to make mostly economic arguments on this blog — so for example that more money means greater vibrancy. But it’s also simply wrong for nearly 1 in 3 people in our city to be certifiably poor. Provo is a young, educated, business friendly community; having such a high poverty rate is unacceptable. It’s morally outrageous. And, unlike Rust Belt cities, it’s almost never discussed. In any case, it also effects everyone because wealth and resources are factors that make or break places like Downtown Provo. If the community wants to be as thriving as other cities, these rates will need to change. *For the next few posts I’m going to be sticking with my original five cities simply because it takes time to compile and graph all of this information. Some readers have suggested several other great possible additions and I hope to discuss them in the future, but for now the cities I’ve included seem to have sufficient diversity to make the point. The Salt Lake Tribune reported yesterday that Provo is the third friendliest biking city in Utah. The ranking is part of Provo becoming a bronze-level bicycle-friendly community as determined by the League of American Bicyclists. The other two bike-friendly communities in Utah are Salt Lake and Park City. 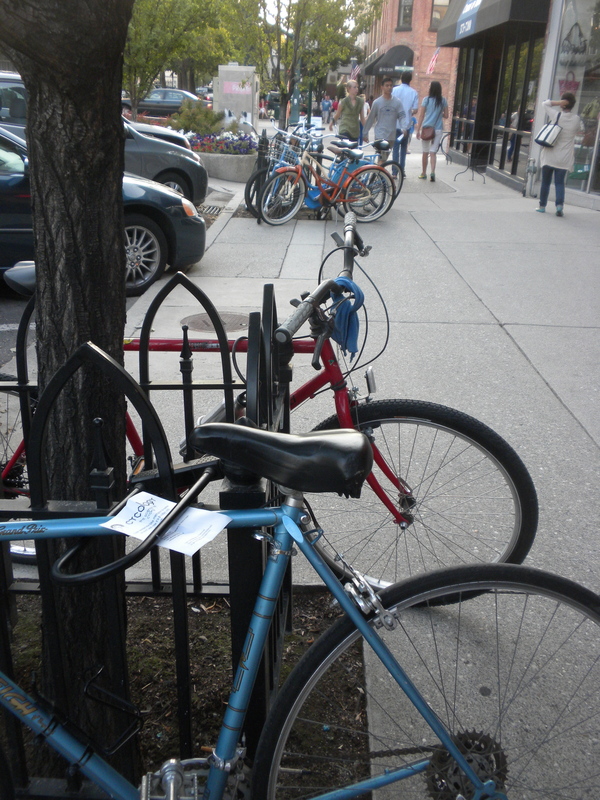 Bikes parked on Center Street. Though Provo seems like a natural member of the bike-friendly club in Utah, the third-place ranking is significant. For starters, both Park City and Salt Lake City are richer, meaning they’ve had more resources with which to build bike infrastructure. Provo is also beating larger cities, like West Valley City, up-and-coming cities like American Fork, and cities that people in Salt Lake sometimes mistakenly think are cooler than Provo, like Ogden. The city has constructed 42 miles of bike lanes during the past 15 years. This summer the city added bike lanes on Seven Peaks Boulevard and expanded shoulders for biking from Provo to Springville on the south end of State Street along with several other bike-lane projects. As part of the city’s recently awarded $150,000 grant, it has created a bicycle master plan, including seven miles of road on the west side of Provo with a separate trail for bikes and pedestrians. Provo still has a long way to go, as I’m prone to point out on this blog. But hopefully the need for more development doesn’t obscure the fact that the city and a passionate core of biking advocates are really doing amazing things. The key going forward is to maintain and increase biking infrastructure so Provo isn’t overtaken by some of those cities I mentioned above. 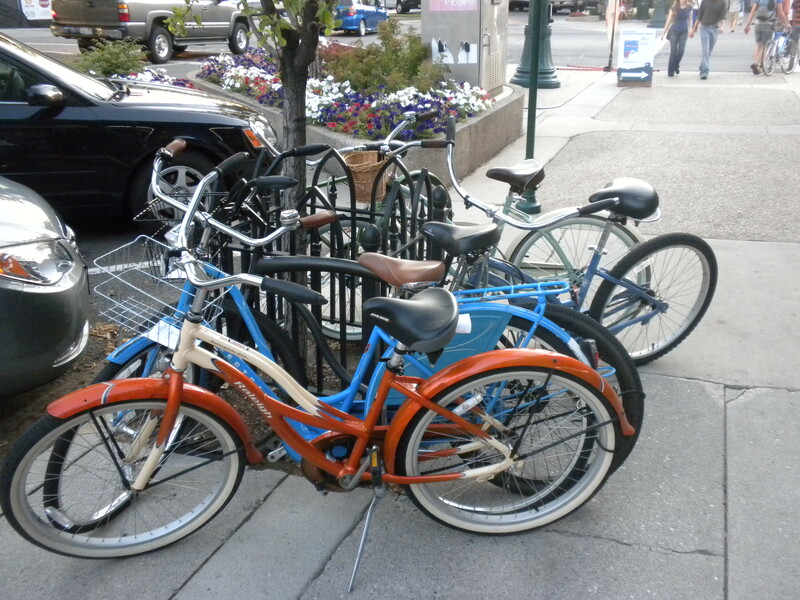 Who would have thought that sometimes it’d be tough to find a place to park a bike in Provo. That’s progress.